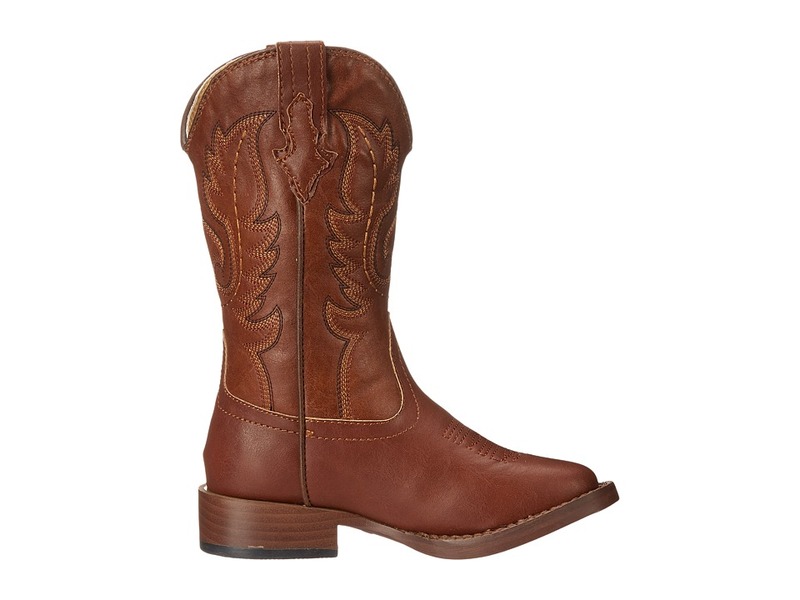 52356136018 Faux leather upper with classic western design. 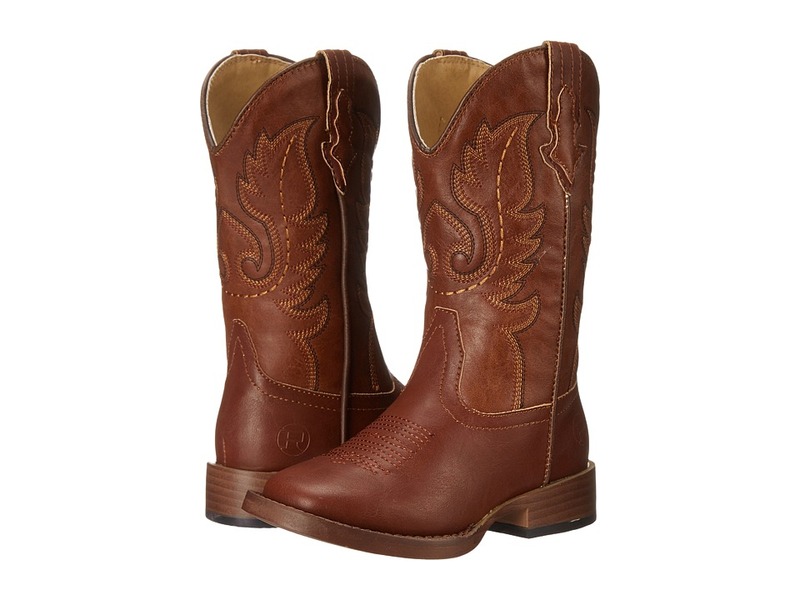 Your lil’ chickabiddy will love the feel of the Faux Leather boots from Roper Kids!Faux leather upper with classic western stitch.Pull-on design, with boot pulls at each side, for easy on and off. 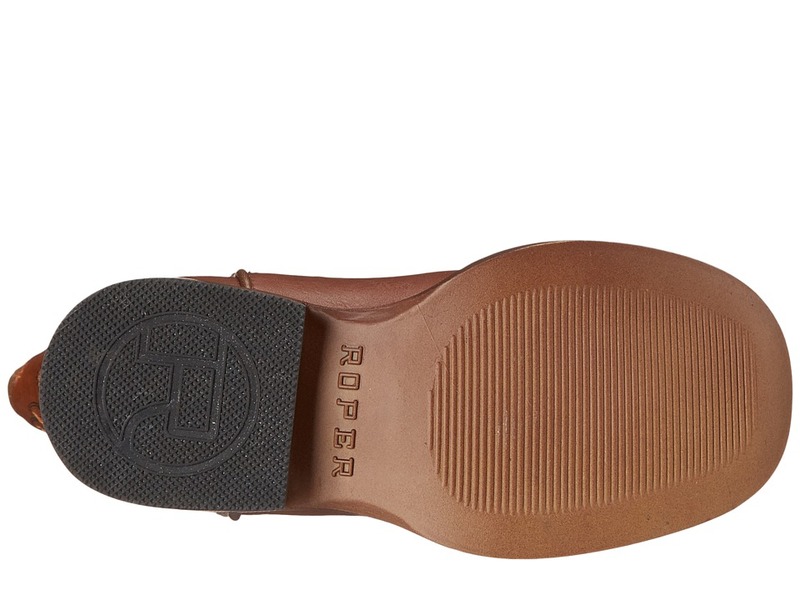 Man-made lining and a cushioned man-made insole.Wide round toe.Lightweight rubber outsole. Imported. 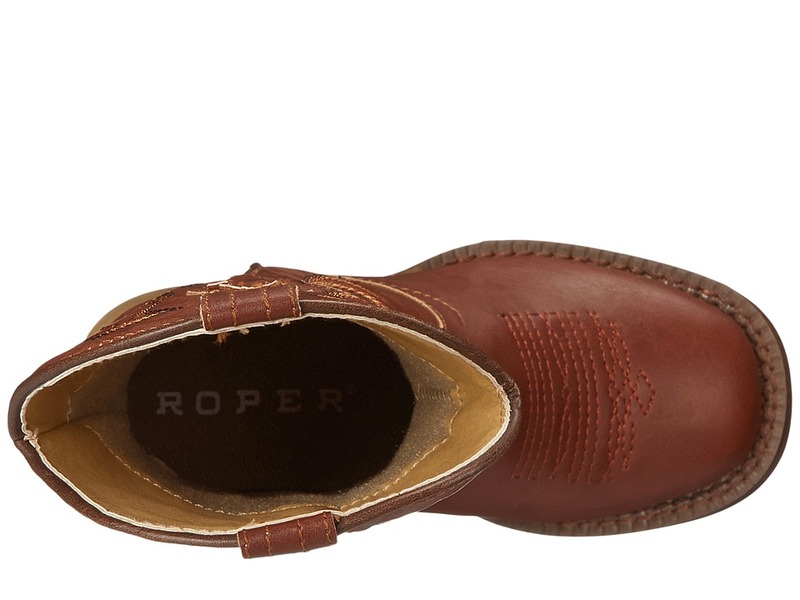 Measurements:Heel Height: 1 in Weight: 7 oz Circumference: 9 1/2 in Shaft: 8 inProduct measurements were taken using size 9 Toddler, width M. Please note that measurements may vary by size.